To help you in this process of finding the best mortgage solution you can read the most frequent questions for mortgage advisors our company handles. We also work for expats and foreigners finding the best mortgage in the Netherlands. Only comparing interest rates in today’s world seems simple. But do you service your car yourself, or do you hire a trained mechanic? When it comes to finding the best mortgage many believe ‘servicing’ on their own fits best. We believe choosing one of the most important financial decisions a person makes in their life, makes sense to speak to a professional mortgage advisor. What is the difference between working with a bank directly and working with an independent mortgage advisor? A bank works directly with you and only offers mortgage products from the bank itself. 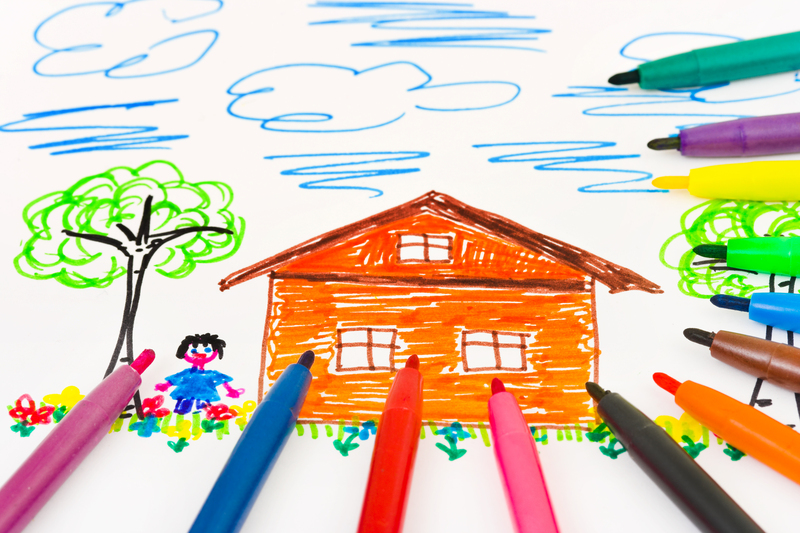 An independent mortgage advisor provides a complete range of mortgages of the entire market. However, your mortgage advisor also arranges mortgages from a selection of preferred lenders. In the Dutch system the mortgage advisor is obliged to inform you about their status. Whether they are part of a bank or have a selection of mortgage lenders and products. In our case we are an independent company and advise mortgages from approximately 40 lenders. We do not accept fees from lenders and work exclusively on the principle of neutrality and independency. We work nationwide. Can I get pre-qualified for a mortgage? The system for mortgages in the Netherlands is not designed for pre-qualification. However, our mortgage advisors can perform a quick scan regarding your mortgage application. In this part of the process you provide us with the following information: your name, current address, date of birth, income and assets, and other property owned. We can also authorize a credit check, which is the only outside source of information that is checked at this point in the process. With this information you are better prepared to buy a house. If you plan viewings for houses you do not have to provide this information with the real estate broker. Which is better—an adjustable-rate mortgage or a fixed rate mortgage? This depends on your budget and how long you think you’re going to live there. If you knew you were going to move within five years, you might want to take an adjustable interest rate. On the other hand, you might not. Five years goes by quickly. The market could change and you might be in a different financial situation. Can I take cash out when I refinance? If it is your primary residence, most lenders will allow you to take cash out (subject to your banks approval) for any reason, such as renovation, debt consolidation, college tuition, or the purchase of a second home. Lending guidelines and rates will differ from lender to lender. In the Netherlands for buying an existing house you need to calculate approximately 5% of closing costs. With this calculator you will have a good impression of the real closing costs for buying a house in the Netherlands. Am I allowed to make partial repayments of capital or increase my monthly repayments if I wish to repay the mortgage earlier? That depends on several factors. If the interest rate of your current contract is higher then the market interest rate there is good chance you have to pay a penaltie. In most cases this penaltie is tax deductible. Will you be able to assist me in the future? It is very likely that you will want to assess the performance of your mortgage every few years. It may be that the amount you are paying back increases down the line, or it could transpire that, since taking out your initial mortgage, a better option has become available. Your mortgage will continue to play a significant role in your finances for decades, so setting up regular appointments with a trusted professional could benefit you greatly. We provide your mortgage advise on no cure no pay base. We only charge you the fee on the same moment as your mortgage will be provided by the lender. Visit at home free of charge. All your information is 100% safe and secure. 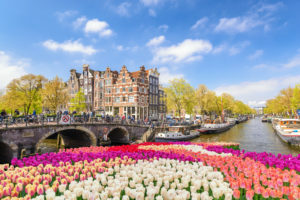 Mortgage advice expat for buying a house in the Netherlands? 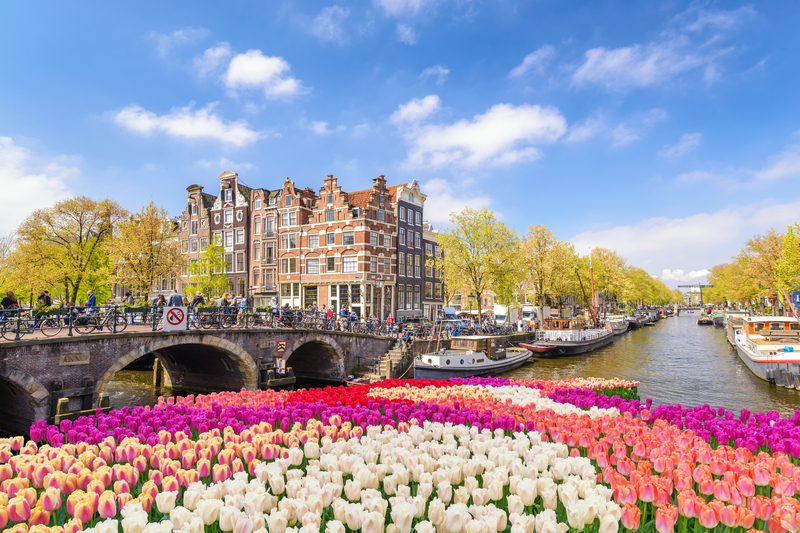 You want to buy a house in the Netherlands or improve your current mortgage? Apparently it’s nearly impossible for expats living in the Netherlands to get mortgages to buy Dutch property? We provide mortgage advice for you as expat! Well, actually, the headlines are not entirely true! What is correct is that most of the mortgage providers have been forced to tighten their procedures since the crisis. But the fact of the matter is, there are still mortgage providers out there looking to do business with trustworthy clients. Only comparing interest rates is apples to oranges. We help you see the big picture. If you’re interested in our services, we charge you fixed fees for our services. Our first meeting is always free of charge an can take place at your home or workplace, also in the evening hours. We work indepent and nationwide and have offices in Amsterdam, The Hague and Breda (Zevenbergen). Our real estate agents can assist you by buying property in the Netherlands. You can request for a meeting by sharing your details below, or you may reach us at 0031-88-2687668. We also work indepent from financial providers and our financial mortgage advisors provide you personal tailored mortgage advice. The National Mortgage Guarantee is referred to in Dutch as ‘NHG’ or ‘Nationale Hypotheek Garantie’ (NHG). The maximum mortgage with NHG is € 265.000 in 2018. Other conditions of this program. The first step can be to find out how much money you can borrow. The main barricade many expat buyers come up against is finding money for the closing costs and apply for a 100% mortgage. Having a small deposit can restrict the number of mortgages available to you, but there are first time buyer mortgage schemes which your mortgage adviser can discuss with you. Following this, the next step is to get yourself mortgage ready. With more stringent affordability testing from the lender, it’s important that your income documents are in order. Lending institutions such as banks and other mortgage providers are bound by a code of conduct in relation to mortgages. In Dutch this code of conduct is known as Gedragscode Hypothecaire Financiering. The current version of the governments Code of Conduct for mortgage loans came into effect in 2011. The code of conduct applies to mortgages on primary residences only. Our professional mortgage advisers are experts when it comes to arranging expat buyer mortgages. With access to over hundreds mortgages from over 40 lenders, we are perfectly committed to help you find the right mortgage and get you a foot on the property ladder. We will be on hand to guide you through the whole process, right up until the day you get the keys in your hand. Whether you prefer a face to face or telephone appointment, we will offer the same expat mortgage service. Our mortgage advisers will take into consideration your personal circumstances, including your income and other relevant information. All of this helps us build a picture of your financial situation and can help us recommend a mortgage deal that is right for you. Starting a business and buying a house in the Netherlands. They are two of the biggest things you can do in life – but do buying a home and starting a business go hand-in-hand? For many new business owners, the prospect of securing a mortgage fills them with dread. Judging by the number of client enquiries we receive many still fear that a freshly-formed business will, in the eyes of lenders’ underwriters, disqualify them from mortgage eligibility. On the flip side, many would-be business owners are forced to prioritise, preferring to defer their career ambitions, to secure their family home first. Only returning to their business dreams, sometimes years, later. But the anxiety around the implications of starting a business on your mortgage eligibility doesn’t need to be so thorny. True, historically, securing a home has been less straightforward for the self-employed than for employees. But, while in years gone by many lenders have shut up shop when approached by fledgling entrepreneurs, I have good news as most have now relaxed their rules. More specifically, whilst lenders all used to operate different criteria when it comes to assessing mortgage applications, many have now standardised the way they judge affordability. And the pool of lenders and products available to business owners is growing all the time. So, don’t worry – just like for your salaried friends, as long as your finances are fundamentally sound the chances are that you will get a mortgage. Many new business owners stress that mortgage lenders will require three years’ of good accounts against which to judge an application. Yet, whilst three years typically remains the period underwriters tend to look back on, the focus of their energies has changed. Rather than dive in to your company accounts, most lenders also want to see your personal tax calculation. That means, just like employees, you need to show lenders proof of earnings after and before tax. Remember, your lender is also interested in the health of your business – as long as you can demonstrate a viable flow of cash – whether in dividends or salary – to your personal finances. This doesn’t mean, however, that, when you want to buy a house you can embark on a new business with impunity. Yes, there are fewer technical hurdles to securing a mortgage but you must nevertheless consider the impact of starting a busines on your underlying finances. You want to avoid getting into a situation where you are forced to defend your business plan or attempt to justify first-year set-up costs as one-off as this could cause delays to the whole process. Home inspection with report in English? Available within 48 hours. Perhaps you closed your mortgage a few years a go for a ‘high’ interest rate compared to the current interest rates. How can you profit from the current low mortgage interest rates? It is possible to ask your bank to ‘moderate’ the interest rate, in Dutch this is called ‘rentemiddeling‘. Also you can refinance your complete mortgage. Perhaps you have expensive life insurances connected to your mortgage so by refinancing you can fresh up your mortgage and save money by having a more profitable mortgage type. We can help you by researching the best solution for you. We work nation wide and can visit you at home or at the office on a time that fits you best, also during the evening hours. The mortgage type that suits your situation best depends on your personal circumstances and lifestyle. Banks offer a large variety of different mortgage types, but there are three basic models. When taking out a loan, eventually you have to repay the actual loan, plus in the meantime you also pay the interest. In some mortgage models you start repayment of the actual capital from the outset, usually over a long period, say 30 years, whilst also paying interest on the loan. In some other mortgage types you postpone the repayment portion of the loan, solely paying the interest on it on a regular basis. There are two capital repayment models: the annuities mortgage and the so-called linear mortgage. With an annuities mortgage you repay the capital plus interest. The characteristic of an annuities mortgage is that in early years you pay a lot of interest and you repay little capital. Towards the end of the mortgage term this turns the other way round, paying off more capital and hence less interest. Another characteristic is that with an annuities mortgage you make fixed monthly payments during the mortgage term. (Except of course that the payments may be affected by changes in mortgage interest rates). Due to the redemption (ie the paying-off of the mortgage), the mortgage debt decreases and you pay less and less interest as time goes on. This means however, that your net housing costs will increase a little, since only the interest on the loan is tax deductible (for those of you who are tax payers in the Netherlands). In early years of the mortgage term the annuities mortgage results in lower monthly payment than a linear mortgage. The linear mortgage, you start to repay the mortgage loan by a fixed amount every month. On top of this you pay interest, but the interest payments will reduce over time since you are gradually redeeming the mortgage loan. Since the mortgage amount will actually decrease, so will your interest payments. 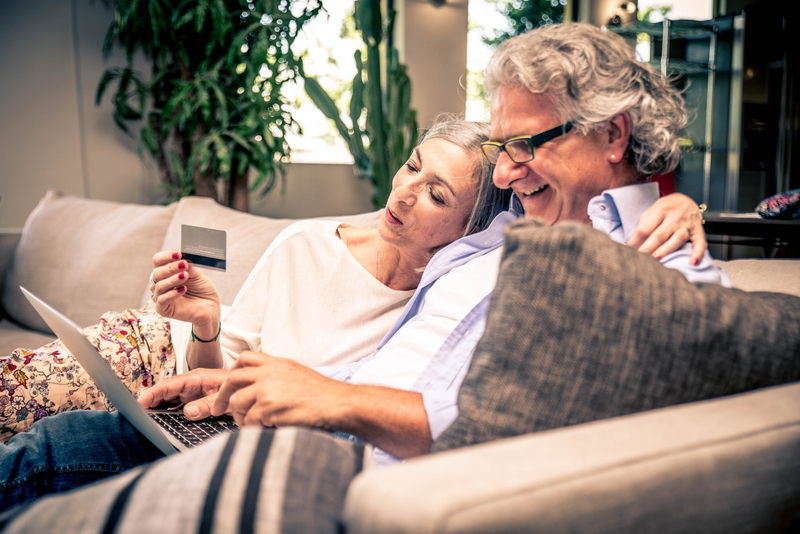 A linear mortgage can be useful for people who wish to repay their mortgage as quickly as possible and who are expecting a decrease in income sometime in the future. However, the monthly mortgage payments are relatively high in the beginning. If you are a tax payer, this is not an ideal mortgage model either, since you will not be taking full advantage of the tax deductibility of mortgage interest. Life insurance mortgage (levenhypotheek): This mortgage is connected to a life insurance. The client pays a monthly or an annual premium, which is often invested in a mutual fund. The premium can include life insurance cover. This policy can be tax-free under certain conditions (rather than being taxed in box III at 1,2%). Guaranteed life insurance mortgage (spaarhypotheek): This mortgage type is also connected to a life insurance, but with a guaranteed return. The interest you get on your premium is equal to the interest you pay, hence you are 100% sure that your mortgage will be repaid at the end of the mortgage term. A combination of these two, the hybrid mortgage (hybride hypotheek): With this type you can switch from a mutual fund with investment risk to a guaranteed return on your money. Investment account mortgage (beleggingshypotheek): In an investment account mortgage you invest a certain premium into a stock market account (not an insurance!). This premium can be a lump sum, a monthly or an annual premium. Guaranteed Savings Account mortgage (bankspaarhypotheek): This type of mortgage offers a high level of security. With a bankspaarhypotheek you will save money at a fixed rate. This rate is equal to the mortgage interest rate, and at the end of the term you will be sure that you have saved enough money to repay the mortgage loan. Simultaneously you are optimizing your tax break, since you are keeping the interest payments constant at their original level. It is also possible to invest rather than save in a bankspaar account, however there is always some risk involved when investing rather than saving in cash. For more information about refinancing your current mortgage or general information about mortgages please use the form below. Cournot Adviseurs is paid by the client and we do not receive any commission (provisie) from banks or insurance companies. We charge you fixed fees which are in most cases tax deductible. The exact amount of fee we explain you during a first meeting and depends on what services you wish to use.